The Blue Planet Foundation is a non-profit organization with the goal of ending oil usage in Hawaii. While they do a lot to educate people, sponsor events and even finance energy saving projects, their greatest opportunity is to help influence state legislation. 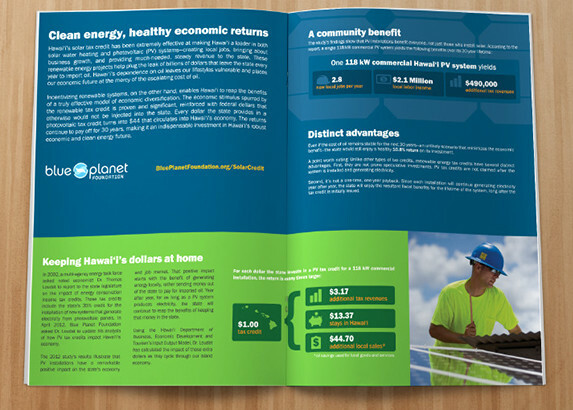 The purpose of this brochure was to educate legislators about the financial reality of clean energy in Hawaii. 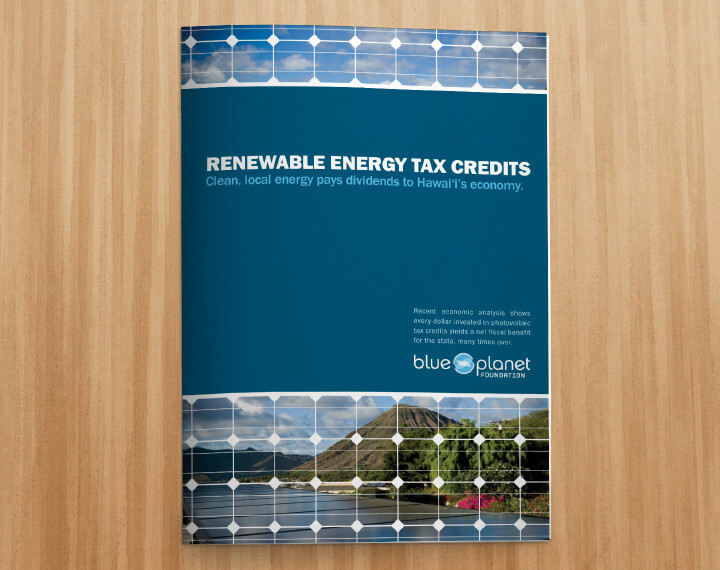 Blue Planet Foundation’s research showed that every dollar in tax credits yielded almost $60 in savings and revenue added to the local economy. 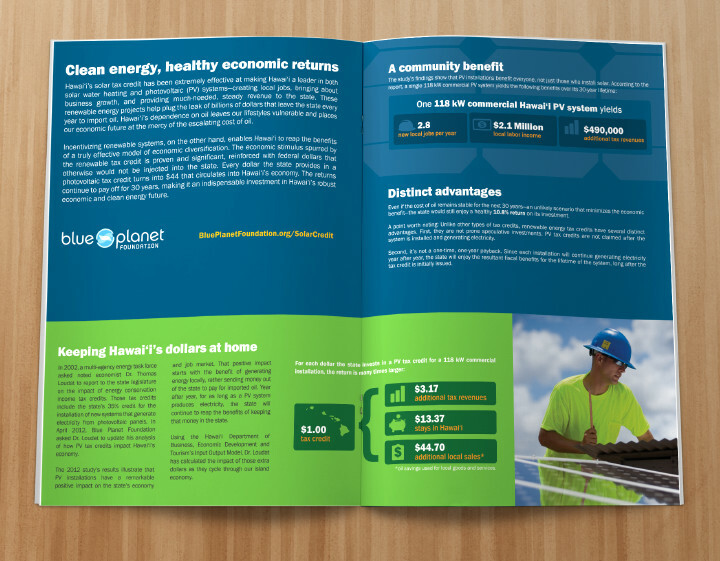 This brochure was distributed to legislators before a crucial vote and helped influence the passing of clean energy laws.